The Commons at Fallsington brings you rental apartment homes in Morrisville, PA. We're a tranquil spot in Bucks County, minutes from Trenton and a short drive from Philadelphia. Work, school, adventure, the arts -- Morrisville and Bucks County have it all. Some of the region's top employers are nearby, like Gamesa Energy. The international energy giant constructs turbines and wind farms just down the road in Bristol and Fairless Hills, PA, employing over 300 people in Fairless Hills alone. The company just signed an agreement to stay local for years to come. Looking for apartments near Gamesa Energy? 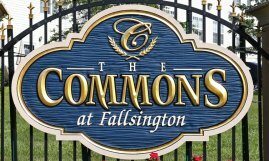 Check out The Commons at Fallsington. Let us tell you more.